Circuit City, the US’s second largest electronic consumer goods retailer is filing for bankruptcy. The announcement comes only a week after the company said it would be closing 155 of its US stores. 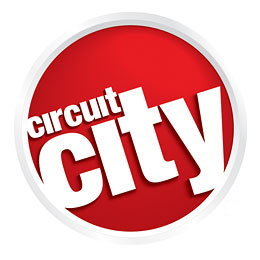 In conjunction with the filing, Circuit City is seeking customary authority from the Bankruptcy Court that will enable it to continue operating its business and serving its customers in the ordinary course. The requested approvals include requests for the authority to make wage and salary payments and continue various benefits for employees as well as honor customer programs such as returns, exchanges and gift cards. It’s ironic that Circuit City is doing all this a week prior to the start of the Holiday Shopping season. Although, it does make sense that they are filing for protection now so, whatever they make during the holidays can be used as capital for their planned restructuring. James A. Marcum, vice chairman and acting president and chief executive officer of Circuit City Stores, Inc., said, "We recently have taken intensive measures to overcome our deteriorating liquidity position. The decision to restructure the business through a Chapter 11 filing should provide us with the opportunity to strengthen our balance sheet, create a more efficient expense structure and ultimately position the company to compete more effectively. In the meantime, our stores remain fully operational, and our associates are focused on consistent and successful execution this holiday season and beyond. "We appreciate the support we have received from our lenders in the midst of such a tight credit market. With this support, we believe we have the opportunity to leverage our market position and the strength of our brand to restore Circuit City to solid financial footing," continued Marcum. "We understand how difficult the recent announcements have been on everyone at the company, and we recognize the changes personally affect many people. Further, we know there is never a good time for individuals to be impacted by decisions like these, and we deeply regret the effect this has on our associates. I want to thank them for their continued loyalty and dedicated effort as we go forward with the belief that implementing long-term and lasting change to our business will come by satisfying our customers, one at a time," concluded Marcum.